INCREDIBLE BUY! Panoramic View, Intracoastal, Marina, Tennis Courts, Turnberry Golf Course, and Pond from this corner 2/2 plus den, with corner wrap around terrace open to kitchen eating area, freshly painted, DR and LR. Kitchen features Stainless Steel appliances New Glass and tile splash back, remodeled, floors are Bamboo Wood, MBR has fitted California closet, Jacuzzi, and spacious dressing area, built ins, separate laundry area, built in dining area, custom window treatment, extra storage, cvd. parking, new A/C unit with a 5 year guarantee! 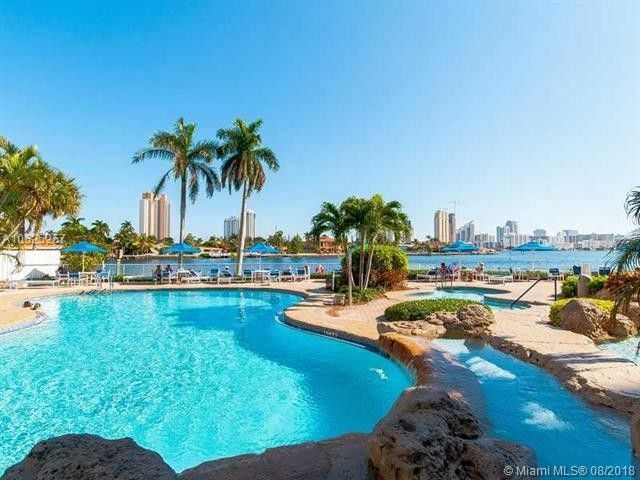 Amenities include, fitness center, 8 har tru tennis courts, marina, dog park, sundeck, entertainment and card rooms, waterfront pool, 24/7 gated, with concierge, inlobbyvalet service, and more. Second covered parking space available. EZ to Show! Directions: Take Country Club Dr. East to Yacht Club Way to end, . right to Mystic Gate.and left at first road. Tower 200 is second tower on the left. Enter the covered circular driveway and the valet will park your car. I'll be waiting to greet you in #1106.